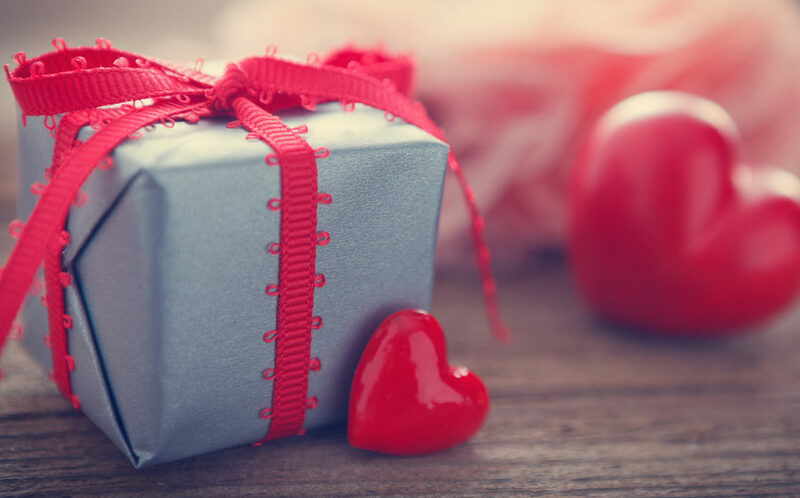 With Valentine’s Day coming up, you’re probably looking for present ideas that will convey your love and appreciation to your valentine. Jewelry presents are always a smart choice, but there are so many options: rings, pendants, bracelets, earrings, necklaces. Then there’s many different metals and stones to consider. This list of the top five jewelry presents from Preusser Jewelers will help you decide. Wearing multiple rings on one finger has become a popular trend. Rings can be paired based on metal, gemstones, or personal taste. Whether you’re buying a ring to add to their collection or you are buying a new set, there are many styles to choose from. Small bands are a simple option. Rings with complementing gemstones can produce a dramatic effect. Keep in mind that some rings of this type are worn further up the finger, and some are even worn on the thumb, so you may need to choose a size that is different than the recipient’s standard ring size. If you are uncertain about the sizing of your item, Preusser Jewelers suggests giving the ring, and then have her come in and let us fit the ring to the finger it’s going to be worn on. That way, her Valentine’s Day gift will be a perfect fit. Simple stud earrings are always a classic gift. They are available in all three colors of gold, and platinum. Whether they are diamonds, or gemstones, studs are timeless! If they prefer a certain gemstone, or don’t seem to have a preference, you can never go wrong with studs! Speaking of gemstones, you usually can’t go wrong with a piece of jewelry featuring your close companion’s birthstone. You might choose a ring, pendant, bracelet, or earrings. Giving jewelry that includes someone’s birthstone is an easy way to make them feel special. Since the most common symbol associated with Valentine’s Day is a heart, it makes sense to give heart-shaped jewelry to mark the occasion. The most popular choices are rings, earrings, and pendants. The gemstones most often featured in this type of jewelry are diamonds, rubies, even morganite. Other popular items given for Valentine’s Day are bracelets. Women’s bracelets come in a wide variety of styles, including bangles, charm, cuff, and the classic tennis. If your partner already has a small collection of bracelets, take a peak in their jewelry box to guide your selection of gold color, diamonds and gemstones. Since 1850, Preusser Jewelers has offered fashion-focused and elegant fine jewelry. Our friendly, experienced staff can help you find just the right gift for your valentine. Our jewelry store is conveniently located in downtown Grand Rapids, accessible from both major expressways.